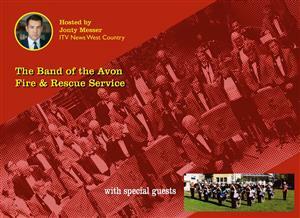 ITV News West Country personality Jonty Messer hosts a charity concert by the band of the Avon Fire & Rescue Service. They’ll perform a variety of show tunes, marches and classical pieces, including theme tunes from ‘Band of Brothers’ and ‘Dam Busters’, the Vaughan Williams Folk Song Suite, and the Barcarole from Tales of Hoffmann. Making a rare visit to Bath, the Drum Corps of the Devon & Somerset service, our special guests, will (amongst other pieces) join in a rousing version of the 1812 Overture. Proceeds from this unique joint concert will go to the Firefighters Charity.